The Champagne Wave sculpture has little bubbles in the glass. This comes during the sculpting process when copper leaf is added to the glass. 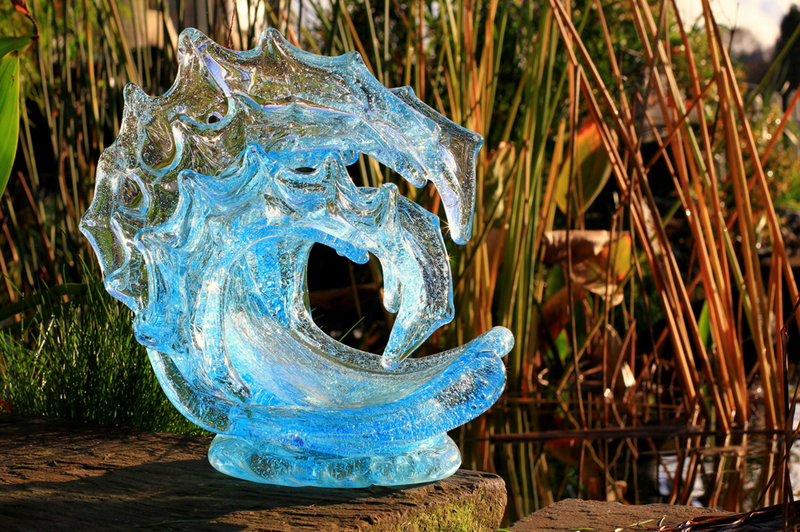 The copper oxidizes and creates little gas bubbles that are captured by the 2000 degree molten glass, and also adds a light blue hue to the finished wave.